Nick and I have been together for nearly 17 years - that’s a long time of gift giving. A few years ago we mutually decided to stop with the Anniversary gifts, but we still give each other gifts for Birthdays and Christmas. I think I’m really easy to shop for because I maintain an updated Amazon wishlist (incidentally, if you don’t have one of these, please do your loved ones a favor and create one ASAP), which includes stuff from Amazon as well as other websites. Nick doesn’t. So when it comes to gifts, I have to listen carefully all year and use my imagination and hopefully get him something that he will like (gift receipts always included). Honestly, it’s a challenge to buy Nick gifts that don’t include clothing or electronics, but over the years I’ve done pretty well giving him things he’s enjoyed. So here’s a list of ideas that may be helpful for you when you’re giving a gift to someone who has everything. 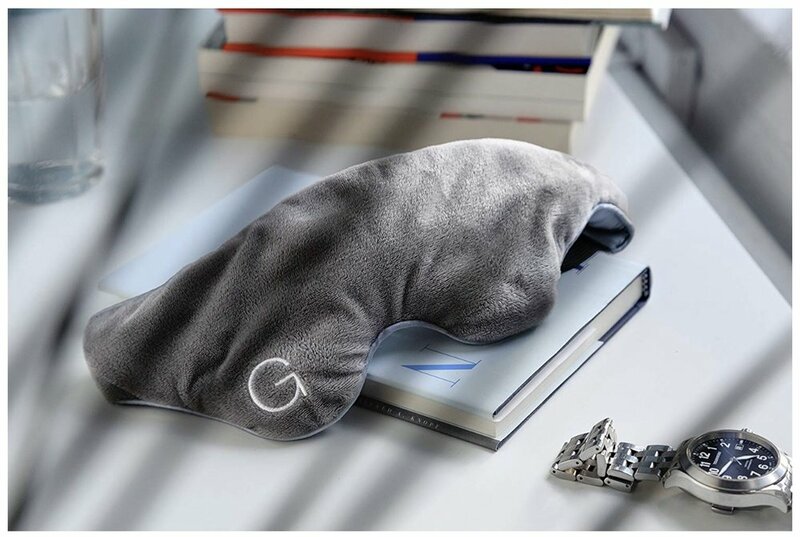 Travel pillow: If you have someone in your life who travels a lot for work or leisure, a great travel pillow is a must-have if they’re not consistently traveling first class. 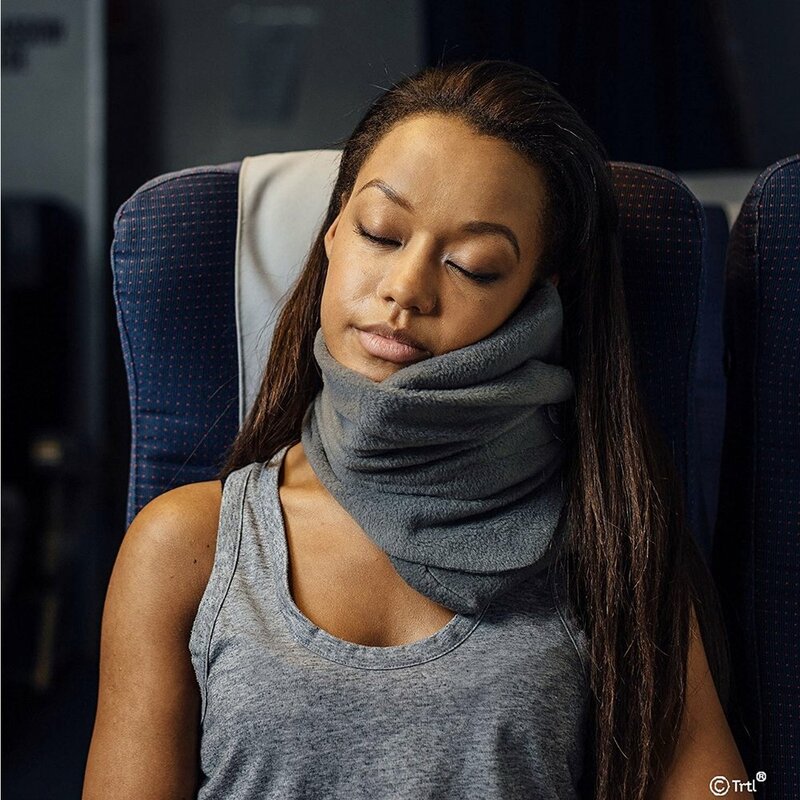 The TRTL pillow is incredible, and works particularly well for long-haul flights. Nick and I have both used this on a 15+ hour direct flight from NYC to Mumbai, and it absolutely lives up to its claim as the best travel pillow. Weighted blankets and weighted eye masks are seemingly everywhere this year, and for good reason. They work. We are living in a time of increasing stress, and luckily, this coincides with a movement towards self care. And self care includes great sleep. Weighted blankets and weighted eye masks basically work like a thunder shirt for humans - it’s like a long hug, but without all the extra arms getting in the way. I got Nick a weighted blanket for his birthday and he’s used it every day since. Granted, it will be too warm in the summer to use it, but in the mean time, this is a really great gift! 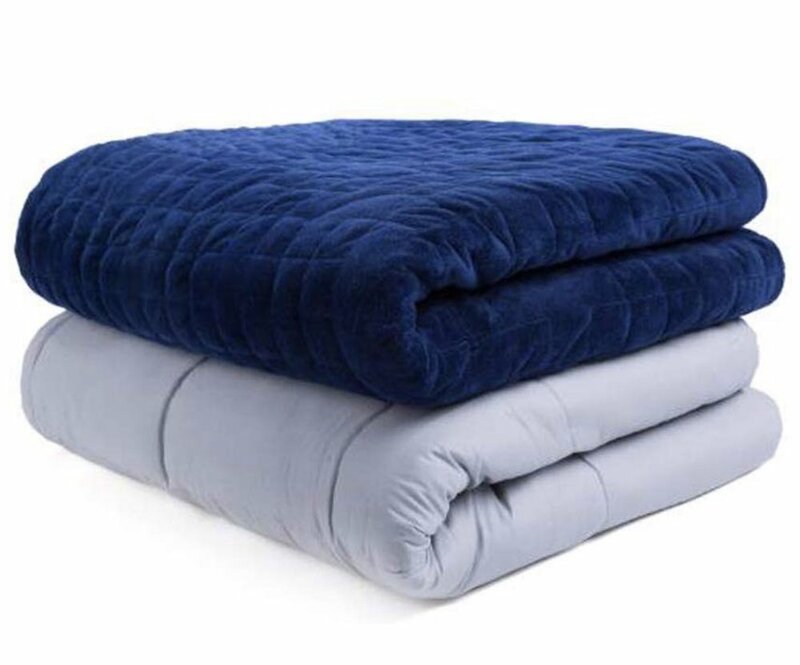 When buying a weighted blanket you want to be mindful of two things. One - you definitely want a washable cover. Two - 15 lbs is quite heavy when its in a floppy blanket-like shape, so you really don’t need to go much heavier than that unless you absolutely need to. 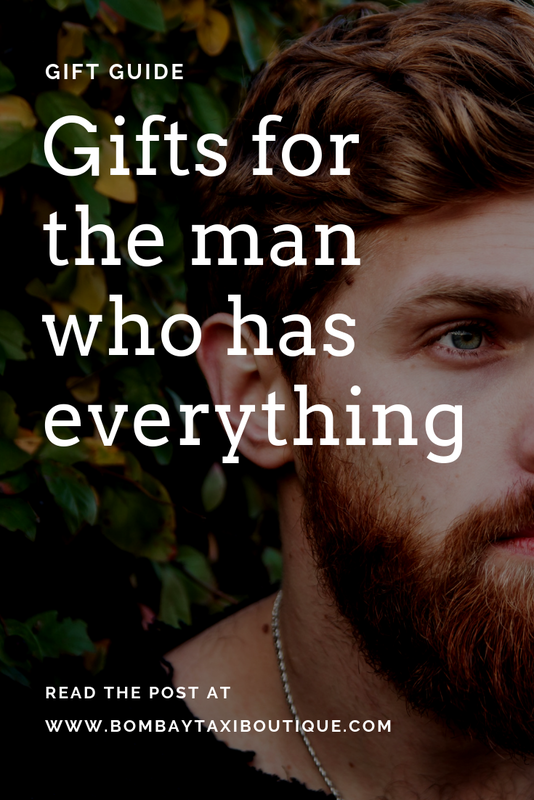 Gift ideas for the man who has everything: A year of self care and Calm! 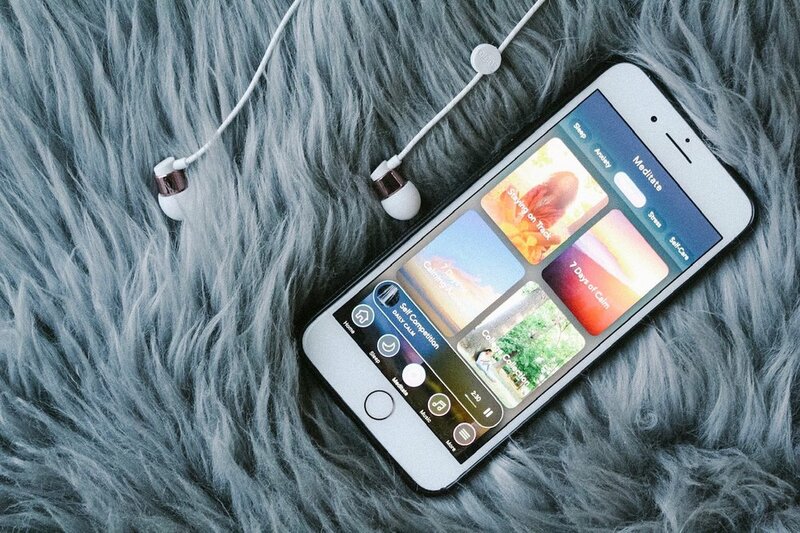 Speaking of self care, my FAVORITE self care app is Calm. If you follow me on Instagram, you’ve seen me talk about this app in my stories because I AM OBSESSED WITH IT. In fact, I bought a super discounted lifetime subscription on Cyber Monday because I love it SO MUCH. It’s got everything from daily meditations to sleep stories - a year-long subscription is a great gift. Personally, I listen to a sleep story every night using in-ear headphones (another great gift) so I don’t bother Nick. My current favorite set are by Sudio, who carry both in-ear and over the ear headphones. Truth be told, this is one of my favorite gifts because you really can never have too many headphones - I have a set a work, in my purse, at my bedside table and in my gym bag. I hope you’ve enjoyed this gift guide and will use it this holiday season! If you like this post, you may also like our Gift Guide for people who like to Drink and Gift Guide for Dogs (and dog lovers). 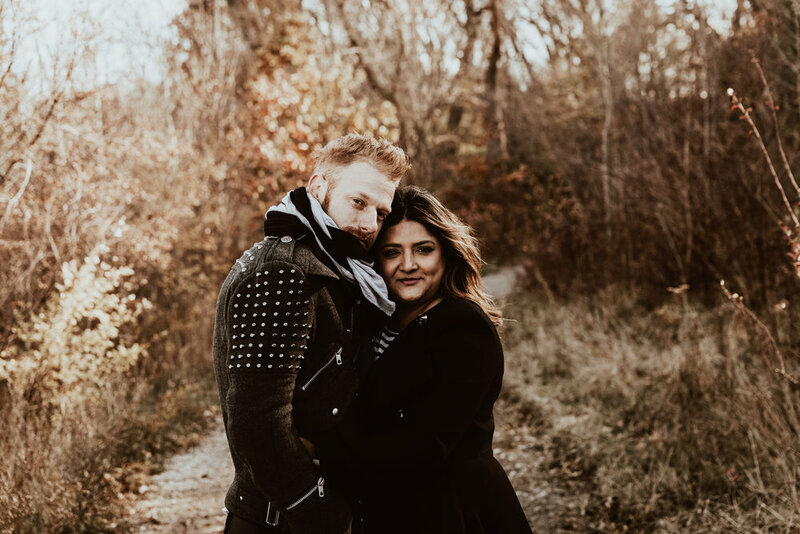 Click through the links above to read them, and pin this post to your pinterest board for easy access! Disclosure: This post contains affiliate links which means that if you use the links in this post to make a purchase, I receive a tiny fee at no extra cost to you. As always, all opinions are my own, and I only recommend products that I’ve personally tested and absolutely love.